One of the biggest concerns for pet owners is what to do with their “baby” if they need to travel without their pet or if they are gone from the house for long periods due to work. It’s really no fun to go on vacation and worry if your dog is going to be confined to a crate for long hours or be upset by your absence or worry that they may be harmed in some way by other animals or people. It’s also equally stressful to be at work all day worrying that your pet is bored, lonely and really needs to go outside to potty! Fortunately, pet owners today have a plethora of choices to meet their “babysitting” needs. In the past decade, a whole new industry has erupted to answer the call of pet owners that want more options, security and quality care for their furry family members. 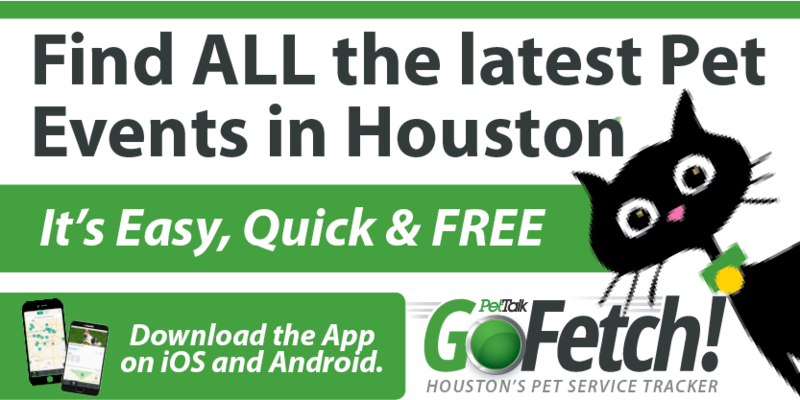 With so many choices in pet care, pet owners can tailor their pet’s needs to the many different programs and facilities available in Houston. As with anything in life, sometimes so many options can also be confusing. How do I decide what is best for my pet? How do I select a facility or pet care provider? Hopefully this guide to pet care choices will help you understand your options and feel comfortable making a decision the next time your need to leave your pet in someone else’s care. There are many variations on the theme, but the three main categories for pet care include boarding, daycare and in-home petsitting. When evaluating boarding and daycare options, many of the same standards apply. Boarding your pet, whether it is a dog, cat, bird or other species, entails leaving them at a facility over night or longer. Choices for boarding range all the way from a traditional kennel style operation without a lot of “frills” all the way to exclusive pet resorts that offer VIP Suites, swimming pools and extra play sessions. Important factors to consider when evaluating if a facility is right for you is safety and cleanliness. Tour the facility and look at the kennels. Reputable kennels should not have a problem giving you a tour and letting you see where your pet will be staying or at least giving you a viewing window to see the boarding area if they have a “No Visitors” policy. Ask about their safety procedures, sanitation, experience level of their staff, etc. Pay attention to the pets being boarded – Are their kennel runs clean? Do they have drinking water? Do the kennels have a sufficient locking system so the pet can’t nudge the gate open and escape? Are fences well maintained with gates and dividers? (Many pets can try to become escape artists when their owners are absent). One way to evaluate a boarding facility is to determine if they are a member of the American Kennel and Boarding Association (ABKA). Founded in 1977, ABKA is a non-profit trade association with over 3000 members in the U.S. Members commit to the ABKA Code of Ethics and the Pet Owners’ Bill of Rights. Some facilities also go the extra mile to become ABKA accredited. This accreditation signifies that the facility has completed a rigorous evaluation of their programs, procedures, and policies and submitted to an onsite inspection. Determine the immunization requirements and veterinary services available if needed; All facilities will require immunization to protect your pet and others so be prepared to give them a copy of your pet’s records. Be sure to go over any medical needs or medications your pet is taking; be sure your pet is up to date on heartworm and parasite control medication. As a reminder, it is not uncommon for animals to have intestinal problems when they are boarded. The stress of the environment change, being away from their owners, etc. can cause stomach upset and may not have anything to do with the care given to your pet at the facility. Ask about the sanitation procedures. How often are the runs and outdoor potty areas cleaned (or litter boxes)? What procedures do they have to prevent parasite infestation? Have they had any recent outbreaks of disease of other maladies you should be aware of? Inquire about procedures for safety including if there is supervision during outdoor playtime or potty time; are dog’s of “like size” segregated from others? What procedures are in place to segregate more aggressive animals? Supervision is very important. How often are pets checked throughout the day? How often are they taken out of their enclosure to potty or play? If dogs are allowed to play together, what procedures are in place to make sure they are compatible and can play without fighting? Many facilities require a temperament test before allowing dogs to play together. Play should be supervised at ALL times and personnel should be knowledgeable about dog behavior. Ask about collar policies. It is important for your pet to have proper ID in case of escape. In “collarless” facilities, inquire about how your pet will maintain their ID tags. Make sure the area is ventilated and at an appropriate temperature. If the facility is outdoor, make sure there is enough shelter from sun, rain, wind, etc. Some facilities are indoor only, some are indoor with access to an outdoor run through a doggie door and some are outdoors only. Determine the set up at the facility you are evaluating and determine what you are most comfortable with. Exercise for an extended stay is important for both dogs and cats. Dogs should be able to break into a run in the exercise area; Cats should be able to stretch and move about in their enclosure and have some toys and scratching posts. Inquire about additional add-on services and the rates for these “extras”. Facilities are coming up with lots of creative ways to make your pet’s stay more fun and engaging. Story time, brushing, walks, games of fetch, swimming, etc. are all extra services that you can purchase to add to your pet’s daily routine. Another option to consider is training while your pet is at the facility. While you are away, your pet can have daily training segments to learn or reinforce positive behaviors. In addition to the information listed above, there are several other items that are important to know about a pet care facility. Learn their hours of operation and drop-off and pick-up times. Some facilities are open 7 days per week; others are only open for a couple of hours on Sundays for pick-up only. You will also need to know in advance what type of paperwork is required as well as availability and restrictions. Holidays book up in advance so be sure to make reservations early. If you are a first time client, you may need to fill out several forms and you may be able to complete these forms in advance to save time at “check-in”. Also, determine if there are any restrictions that may affect you such as breed or size of dog, age, etc. If you have multiple pets, inquire about multi-pet discounts. Also, determine if your pets can stay in the same enclosure. Daycare is one of the newer options for pet owners that have taken on a great deal of popularity in the last 5+ years. Daycare as defined by the ABKA is “an organized, controlled and monitored environment, in which a group of friendly dogs, from multiple families, can interact and play throughout the day in an enclosed building or yard”. Scheduled activities will depend on the individual daycare facility, but typically there is a rest period where the dogs nap during the day. The purpose of dog daycare is to provide stimulation, exercise, socialization, and in some cases training for a dog that might otherwise be left home alone during the day. Many of the same standards for boarding apply to daycare facilities (many boarding facilities also offer daycare) in terms of evaluating safety, sanitation, health procedures, supervision and provisions for comfort. In addition to the information discussed above regarding boarding facilities, here are few additional items to consider when looking for a daycare only option for your pet. Know Thy Pet! As with humans, all pets are not created equal and their personalities, activity level, etc. all varies. Owners need to take their pet’s individual likes and dislikes into account before heading down the path to daycare. It’s been said that some owners take their pet to daycare more for their own emotional well being than their pet’s needs. Having said that, it’s a great way to socialize, exercise and train your pet but be sure to select a program and facility that meets your pet’s energy level and comfort level. Some dogs might be fine with one or two days per week while another high energy dog might do well attending daycare 5 days a week so that he/she is more manageable for their owner upon their return at the end of the day. Also, senior pets, puppies, shy dogs, etc. have different needs. Discuss your pet with the daycare provider to determine the right amount of time, type of play, environment, other pets, etc. that is best for your pet’s personality. Daycare can be tougher to get in than pre-school! Don’t be surprised if your pet is “not accepted” at a particular daycare. Temperament tests will determine if your pet is an “appropriate fit” for that facility. Aggressive dogs, toy mongers, leg-hikers, bullies, etc. are turned away on a regular basis from daycare programs. Find a program that caters to your pet (large breed, small breed, puppy, etc.). Evaluate the facility (without your dog in tow). Some daycares provide large play areas, some cozy little rooms, some are indoor only while others are indoor/outdoor, some groups are separated by size or play styles so check out the specific offerings of several daycare providers to find the right one for your pet. Because daycare is mixing dogs together for the purpose of socialization and play, it’s extremely important for the staff to be trained and knowledgeable about dog behavior. Understand the procedures for temperament testing, how aggression is handled and pay attention to the number of dogs per supervisor. Some pet owners prefer to have an individual come to their house and care for their pet in their absence. Perhaps they want to minimize exposure to illness, their pet may be unfriendly to other animals, senior pets may need specific care or their pet is simply more comfortable at home. Pet sitters take care of pets when the owner is away at work to give the pet exercise and a potty break. In addition, pet sitters are used for overnight or extended stays. The pet sitter may come several times per day and they may or may not sleep over at the house and rates will apply accordingly. As with boarding and daycare, there is a national association that monitors the industry and publishes industry standards. Pet Sitters International was founded in 1994 and offers a pet sitter locating service on their web site at www.petsit.com. Look for professionals with liability insurance and bonding policies to protect you, your property and the pet sitter. You may want to consider a background screening service to make sure the person is law-abiding and legitimate. Look for accreditation credentials and special training the individual has attained to insure they are knowledgeable and capable. Conduct and interview, check references and have the person outline their procedures. Find out what they would do in case of medical emergency, disaster preparedness procedures, what other services they provide such as taking in the mail, watering plants, etc. Be sure to learn about their safety precautions. How do they insure your pet won’t escape? How do they make sure they lock all doors, latch all gates, secure crates, etc. To be sure, the decision to board a pet, enroll them in daycare or opt for a professional pet sitter will depend on your unique situation. The expense will vary as will the quality. You have to do your homework to make sure you find the right solution for you and your pet. Communicate your expectations clearly to the person(s) caring for your pet. Most disappointments in care come from a lack of understanding in what the client expects. For example, if you want your pet groomed before you pick them up on your arrival day, be sure to tell the staff how your pet is to be groomed, what time you will arrive for pick-up and ask what the additional cost will be. Or, if you are using a pet sitter and you would like your pet walked for 20 minutes rather than a quick potty break, let them know your specific desires. Whether you have a dog, cat, bird or other furry friend, take the time to make sure their “babysitter” is right for your situation. Remember, this is your “baby” and who’s watching them is worth investigation! For more information on boarding and daycare standards, visit www.abka.com. For more information on pet sitting standards, visit www.petsit.com. If your pet is not “ready” to play with other pets, consider training and slowly introducing them to socialization opportunities so that they can be boarded if necessary and can participate in daycare to continue stimulating their social inclinations.